Product categories of Bristle Hair Knot, we are specialized manufacturers from China, Bristle Hair Knot, Badger Hair Knots suppliers/factory, wholesale high-quality products of Shaving Brush Knots R & D and manufacturing, we have the perfect after-sales service and technical support. Look forward to your cooperation! Bristle Hair Knot: The Boar Bristle is the least expensive of the Shaving Brush Knots and is manufactured with boar bristles. While they don`t hold as much water as Badger Hair Knot, they very stiff natural of the bristles makes boar brushes a favorite among men who like a stiff brush. 1.How about sample policy ? If we have stock,will provide you free sample.If have no stock, sample fee would be paied by the buyer or be negotiated. 2.Which shipping way is available ? By sea to your nearest port By air to your nearest airport By express (DHL,UPS,FEDEX,TNT,EMS)to your door When the cargo was shipping out, the tracking number will be informed. 3.When will the goods delivery ? Normal, we will need 2-3 working days for prepare the products. 4.How's your packing for the goods ? Usually we will use small plastic bag for each Shaving Brush Knot, then the outside packing is carton. 5.Which payment way is workable? Company Information:Our company is a leading and professional shaving brush knots manufacturer. 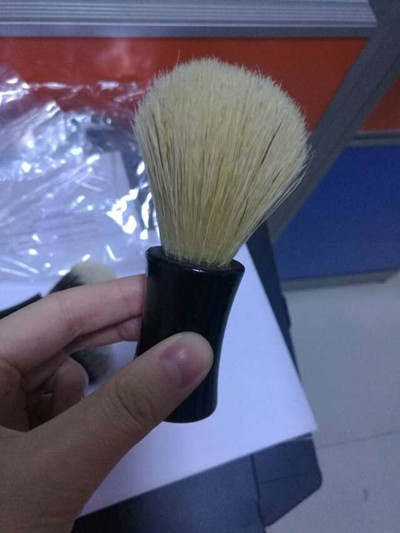 We are specialized in making the mid and top quality shaving brush knots.we accept custom-made, will produce as your special requirements. Copyright © 2019 SHIJIAZHUANG QIANDONG IMPORT AND EXPORT TRADE CO.,LTD All rights reserved.